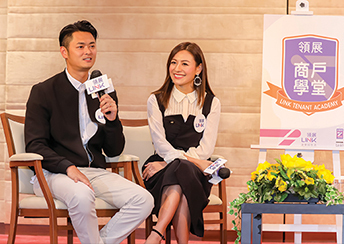 The Link Tenant Academy invited Oscar Siu and Elanne Kong, a prominent entertainment industry couple, to share their experiences in starting up retail business and motivating themselves in times of adversity. Oscar, who now owns a dumpling business, said that holding on to one's belief and never giving up, as well as the ability to reflect on one’s weaknesses, and anticipate customers’ needs are essential to growing a business. 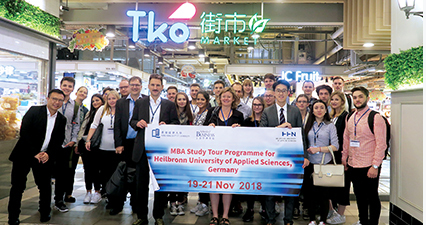 MBA students from Heilbronn University in Germany visited TKO Gateway and TKO Market and were impressed by the property enhancement done by Link’s asset management team. A group of popular parenting and food bloggers took part in the Finnish Christmas Wonders event at Stanley Plaza. Apart from sampling the delicacies on offer, they enjoyed the authentic experience of a traditional Finnish Christmas and shared their experiences with followers on social media. T.O.P This is Our Place kicked off its grand opening celebration with the launch of Christmas Toy Factory, co-presented by TOYSOUL. In addition to displaying over 200 speciality toy collectibles, the event showcased 12 popular figure creations alongside festive Christmas decorations. 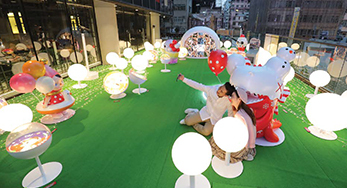 In the Space-out Garden on the fifth floor, visitors had fun at the magical Capsule Toyland, a playful landscape of brightly lit balls and toy capsules, big and small, while TOPsnap provided an awe-inspiring selfie angle from high above Mong Kok. 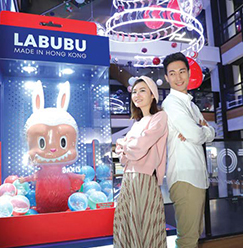 On its Grand Opening Day, T.O.P staged a concert featuring singer-songwriter AGA Kong, Adrian Fu and other buskers for three hours of non-stop original Hong Kong music. Meet & Greet shows and a few game kiosks on the same day also brought a lot of fans who filled up all over T.O.P. 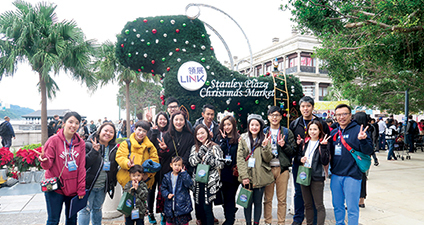 To promote service excellence among tenants' staff, Link's Park & Dine “LIKE Link’s Shops Staff” campaign encouraged the public to “like” staff members for going the extra mile in serving customers. Local heart-throb actor Carlos Chan starred in the campaign's TV commercial, playing the role of a caring staff member. Following the campaign, staff members, as well as the shops where they serve, were rewarded with cash and other prizes for the most “likes” received. 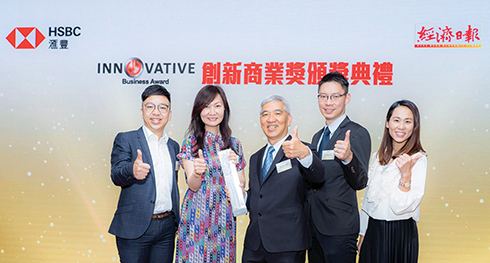 Less than six months after its launch, T.O.P This is Our Place won the “HSBC x HKET Innovative Business Award” Silver Award in recognition of its innovative business model and creative use of technology. 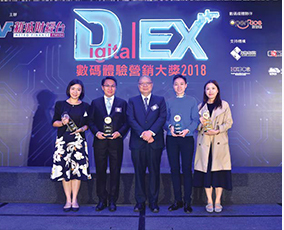 At the Digital EX Awards 2018 organised by Metro Finance, T.O.P This is Our Place was the winner of the “New Launch Campaigns” Award and the “Licensed Events and Campaigns” Award, while Link’s Park & Dine app garnered the “O2O strategy” and “Customer Experience Management” Award. Link’s T.O.P This is Our Place was named “Top 25 My Favorite Shopping Mall Events” with its launch event SML Expo. Park & Dine App won “Best App of Shopping Mall” with its all-rounded functions which fulfill the daily needs of customers. 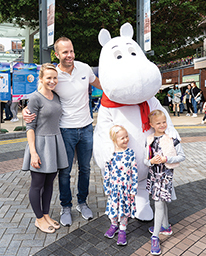 Featuring a giant "Yule Goat", a seven-metre-tall mysterious "Home of Elves", and a dreamlike "Elves' Boulevard", the Finnish Christmas Wonders at Stanley Plaza was a wonderful success, attracting over 300,000 visitors from all over the world, and immersing them in a unique festive aura. In addition to a Doggie Christmas Market, the market featured delightful surprises for every visitor, with the event showcasing 100 booths offering classic Finnish delicacies, Christmas goodies and local handicrafts. 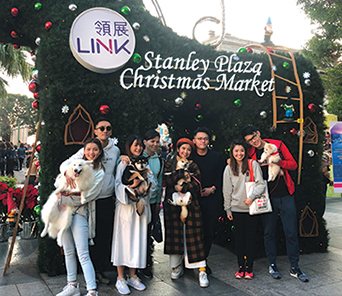 A number of dog lovers came along with their dogs for fun and photo taking. A reusable cutlery rental service was also offered in collaboration with a local social enterprise. At the Marketing Excellence Awards organised by Marketing magazine, Temple Mall’s “A Spin for Good Fortune” was the Gold Award winner and the Link Community Tour was the Bronze Award winner in the “Excellence in Cross-Border Marketing” category. 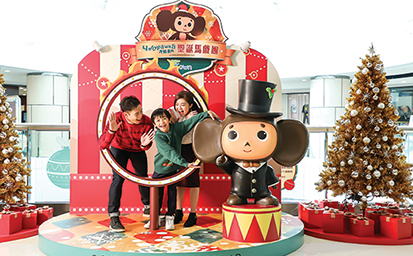 T Town’s Christmas Bliss invited visitors of all ages to join art workshops where they could exercise their creativity and even step onto a virtual circus stage to interact with Cheburashka, the beloved Russian cartoon character with oversized ears. 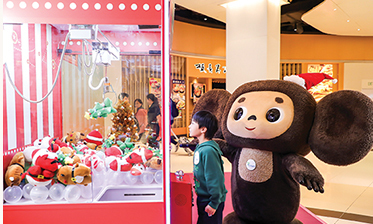 Customers were also able to try their luck at the claw crane machine, and take pictures with Cheburashka during flash parades. 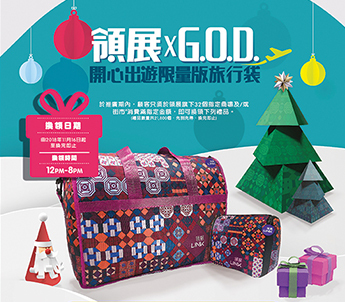 In the lead-up to the holiday travel season, Link joined hands with local design brand G.O.D. to create an easy-to-fold travel bag and a compact style travel organiser adorned with fashionable designs featuring Hong Kong-style mosaic tile patterns. 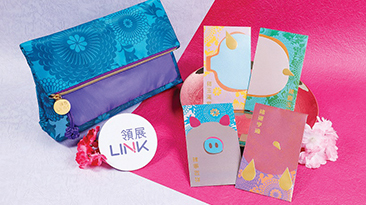 To mark the Year of the Pig, Link offered at designated shopping centres and markets Lai See packets and pouches showcasing an elegant, gold-embossed design with colourful, Dunhuang-inspired motifs. 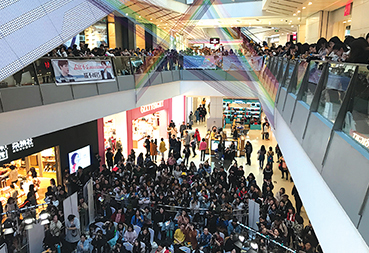 EC Mall teamed up with Tmall to host the SPEEDO brand showcase as well as a game event that rewarded customers with shopping coupons. 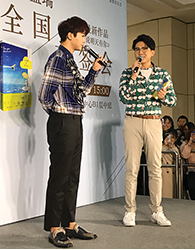 Popular actor/writer Meng Rui staged a signing event for his new book, during which over 3,000 books were signed for enthusiastic fans. At Christmas, Link Square was adorned with elegant British-style festive decorations that nicely complemented a pop-up store presented by retail tenant S.Engine Coffee, in partnership with Dyson, offering visitors the ultimate coffee experience. 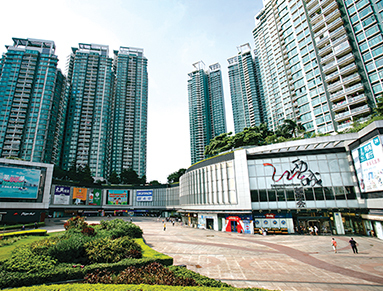 Metropolitan Plaza was named a “Mall of Public Safety” by the Liwan District Government for actively promoting public safety and social harmony. Best viewed in Chrome, Firefox, IE 9.0 or above. If you have any suggestions or enquiries regarding “Channel 823”, please email us at channel823@linkreit.com. Copyright Link Asset Management Limited. All rights reserved.